This blog post is dedicated to Chris Simpson. The cover for Argyle Park’s Misguided, which has been gracing the top of my blog for a week now, is necessarily gloomy—so it’s time for some brightness and colour. Fresh Fish by Say What? 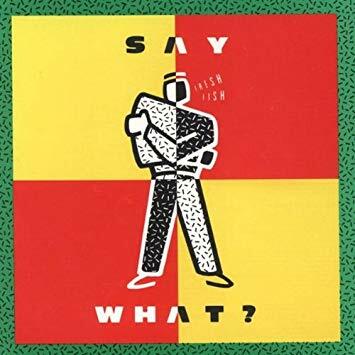 (in that order because typing ‘Say What?’s Fresh Fish’ looks odd to me) is not the best CCM album in the world, but it is (for want of a better word) fun. 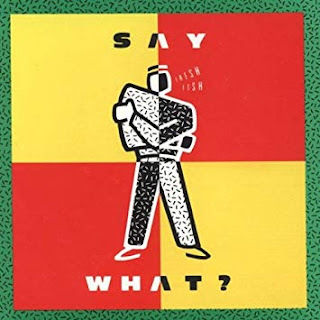 My initial forays into the subgenre of Christian rap had introduced me to Michael Peace and P.I.D.—but Fresh Fish was outstanding at the time. And some of the tracks have stood the test of time. ‘But why do you regard this as an “impactful CCM album”?’, I don’t hear you ask. Well, my friends, I recall sitting at my desk and writing down my interpretation of each of the songs. I don’t think I’d done that for any album previously; indeed, I’m not sure why I did it for Fresh Fish. But I did—and that’s why I’m including it in this list. One I'm not familiar with, so I can't really contribute anything other than snarky comments, which I'm not inclined to do at this moment. Ha! I'm sure you can find the whole album on Spotify or something.